Slovenia offers a wide range of landscapes in a small country, from alpine (with peaks rising to over 9300 ft and ski resorts) to Mediterranean, with around half the country being covered in forest. The country's rivers and lakes also provide water sport opportunities including sailing, canoeing, kayaking,and fishing. Slovenia used to be part of the Replubic of Yugoslavia until it gained it's independence in 1991 and borders north eastern Italy, Croatia, and Hungary in the Alps. 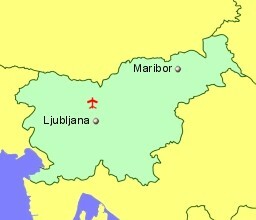 Slovenia is a member of the European Union and the currency is the Euro. Slovenia is also a Schengen country.